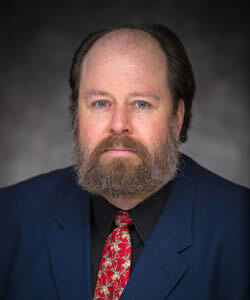 David Bentley Hart is an Eastern Orthodox theologian, philosopher, writer, and cultural commentator. He was previously a professor at the Christian Studies Center. Hart has held the visiting Robert J. Randall Chair in Christian Culture at Providence College and visiting Danforth Chair in Theological Studies at St. Louis University; he was also a fellow at the University of Notre Dame's Institute for Advanced Study. He has taught at the University of Virginia, the University of St. Thomas, Duke Divinity School, and Loyola College. He is the author of numerous books, including The New Testament: A Translation (2017), The Dream-Child's Progress and Other Essays (2017), The Experience of God: Being, Consciousness, Bliss (2013), Atheist Delusions: The Christian Revolution and its Fashionable Enemies (2009), and The Beauty of the Infinite: The Aesthetics of Christian Truth (2003). Hart earned his B.A. from the University of Maryland, M.Phil. from the University of Cambridge, and M.A. and Ph.D. from the University of Virginia.